Pushpinder Chani plays the role of Brahma in this production of Thunderstruck. His career as an actor consists of Theatre, tv, film and radio. 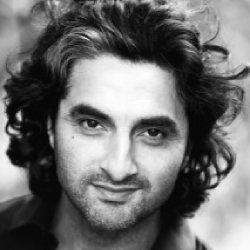 His career highlights have been many including working for the RSC and working in dramas for BBC. His most recent tv was being in The Boy With the Topknot. He is currently in a new Bradford based film called Polterheist which is being released this year. He is heading off to New York, Broadway and Florida next year with a theatre production of Around the World In 80 Days. He is very excited about being part of Ri Ri’s first theatre production.